Have you ever walk into a job interview, and were asked to design a program to find if 2 rectangles intersect with each other or not? This apparently is a common “technical” question in a job interview. I do agree that it is an interesting question to evaluate your analysis skill together with some emphasis on your coding skill, the coding part is not complicated at all. Giving all the add-on packages available nowadays in the different programming languages, I wouldn’t be surprised if you will find the right library with a rectangle intersect function, that all you have to do is call it with the 2 rectangles as input. But anyway, the fun is with the analysis of the problem at hand and how to implement it in your language of choice. I’m going to do this case study here using the core Java language without any add-on packages. Rectangle can be define a number of ways, in this example, we will define rectangle with 2 points, the lower left corner (x1, y1) and the upper right corner (x2, y2). 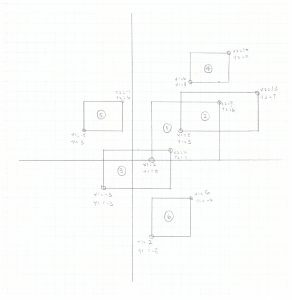 Helper methods are also created to find the rectangle’s width, height, and area. There are 6 rectangles, some of them intersect, some of them don’t. After observing the intersection between 2 rectangles, I was able to come up with this formula to calculate the actual intersection area. // and y1 can not be greater than y2. Once we have the intersection, if the area of the intersection is greater than 0, the 2 rectangles intersect. If the area is 0 or less than 0, the 2 rectangles do not intersect. // if area of the intersection is greater than 0, they intersect. This is pretty cool so far, but I feel that this is a bit more complicated to my liking. I analyse a bit further, and think that it is actually easier to determine if the 2 rectangles DO NOT intersect. 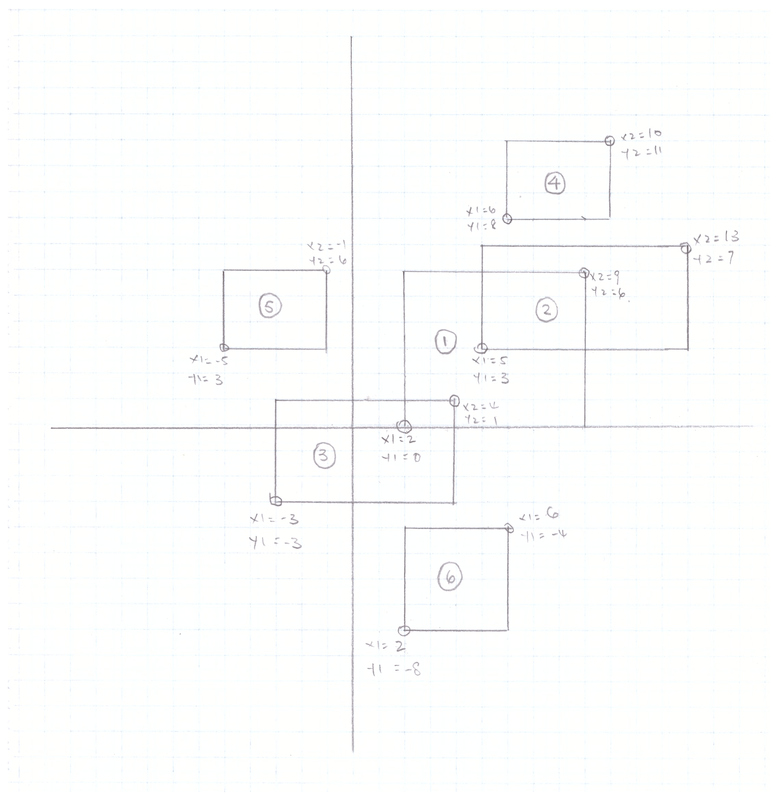 Based on the simple evaluation of the Xs and Ys, it can be easily confirmed that the 2 rectangles DO NOT intersect. // and just return the negative value to indicate if it intersect or vice versa. I do feel that this second solution is very simple and elegant. The only drawback is that it will not tell you what the actual intersection area is, so if you actually need to know the intersection area, method 1 is still preferred. 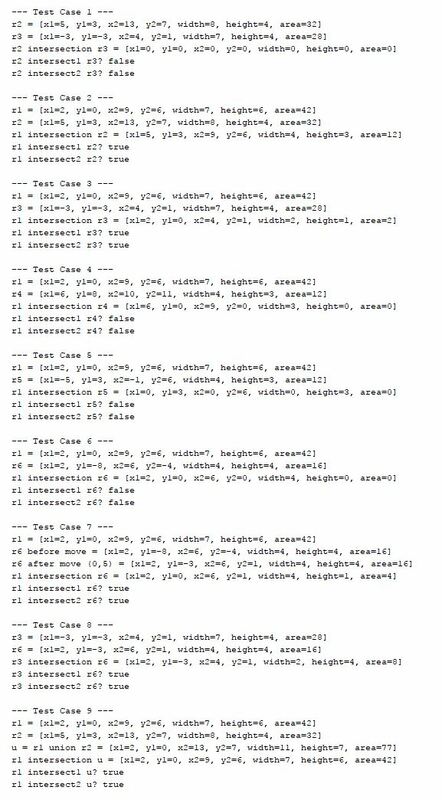 I created a number of test cases and compare results from the 2 methods, they produced same and consistent results. Here is the code for one of the test and the result from all 9 test cases. In case if you are interested, the full source code is in my Github repository. Hope you enjoy this case study analysis, happy coding ! Previous Article Previous Article: Hass.io – Have an Old IP Camera? Next Article Next Article: To Cloud or Not to Cloud?